Do you have a house or garage that needs to be removed? 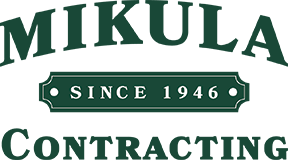 Mikula Contracting is a family-run business leader in the residential demolition industry. With over 70 years of service to the greater New Jersey area, we take pride as your first choice for a local residential demolition contractor. Whether you need to remove a concrete slab, have garage demolition provided, or are in need of a house demolition we are the local demolition contractors for you. We will give you a free estimate, walk you through the step-by-step process of your project, and take care of all town permits to make your home demolition project worry free. We provide the following services; House Demolition, Garage Demolition, In Ground Pool Removal and Concrete Removal from your property. We provide residential demolition in Essex, Hudson, Bergen, Passaic, Morris and Union Counties. Get a Fast Quote for residential demolition services in Northern NJ throughout Essex, Hudson, Bergen, Passaic, Morris and Union Counties.